Even though Beverly Mitchell’s daughter Kenzie is a year old, the actress has just recently completed her baby girl’s nursery. When it came time to design the perfect space Beverly and husband Michael Cameron turned to designer friends Bill Horn and Scout Masterson(also known as ‘the Guncles’). In the past the pair have also helped Tori Spelling and Kristina Guerrero (“E! 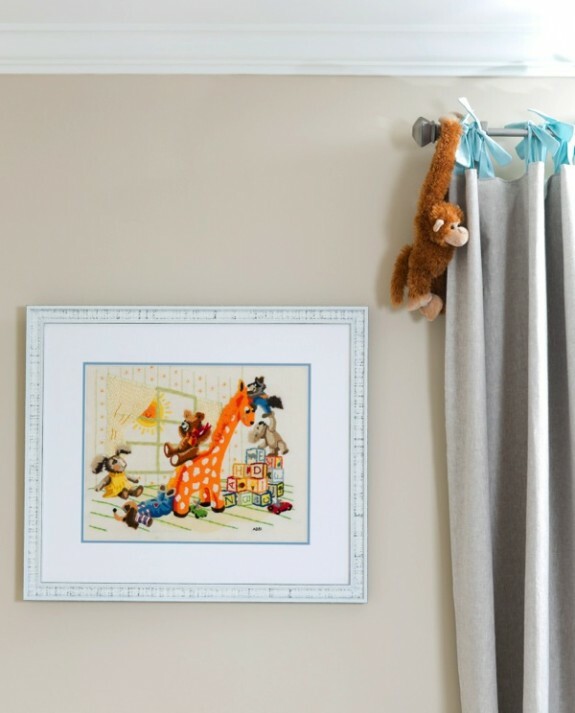 News”) create beautiful nurseries for their little ones. 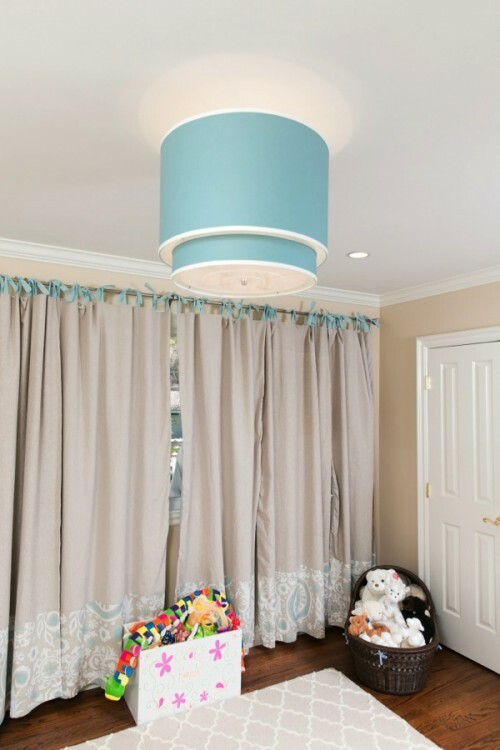 While looking for inspiration Beverly knew she wanted to create a more tranquil nursery with netural and calming colors. She ‘hunted’ Pinterest for the theme, and, in the end created a space that will grow with her daughter. Oilo Studio’s Double Cylinder Light adds a pop of color to the room. 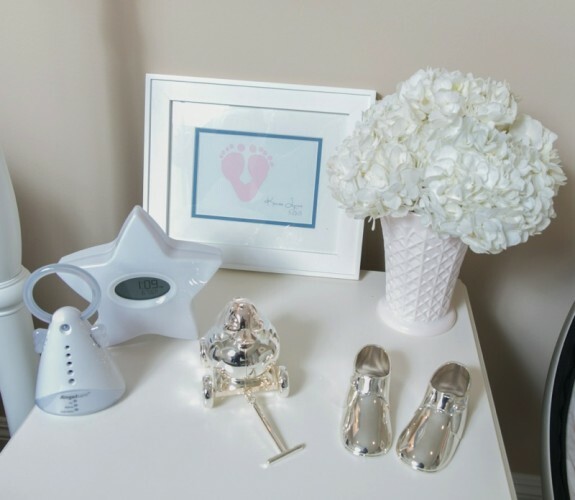 The actress found the crib, glider, lamp, side table, rug, bassinet and dresser at Pottery Barn Kids but searched Etsy for some of the custom pieces like the banner above Kenzie’s crib and the height chart. Kenzie’s personalized birth details pillow came from Merle and Velma, a cute online shop that also creates custom blankets and tees. In the corner of the room we also spotted the very popular 4Moms mamaRoo. Don’t we all wish we could have them come in and style our nurseries in just a few days? Bill and Scout also gifted the new mom with a 1950’s era shell pink Jeanette vase, which she keeps on the side table filled with white hydrangea. To add some nostalgia to the space Michael and Beverly included a pair of needlepoint canvasses that they both had as kids.